Respect for the land and sustainable farming practices are strong cultural beliefs held by the Cedar Band of Paiutes and our California winery partner. We build our business on respect for the land, responsible energy use, and a desire to make the best and most environmentally friendly wine possible. Unlike other farming practices, sustainable winegrowing is all encompassing in its approach. We are not only concerned with the health of the vineyard but its surrounding natural environment as well. Sustainable farming is the balance of environmental health, economic profitability and social equity. We show our commitment to sustainability by having our wine certified sustainable through The Lodi Rules for Sustainable Wine Growing. The Lodi Rules are sustainable winegrowing standards that are designed to lead to measurable improvements in environmental health of the ecosystem, society and wine quality. To become certified, a third party organization examines the vineyards and practices to ensure we meet all requirements. Look for the Lodi Rules logo on our wines………enjoy! 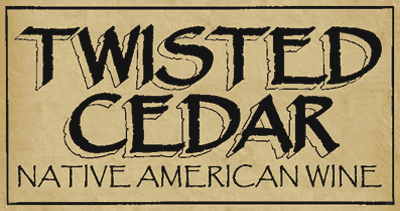 Stay up to date with Twisted Cedar Wines and receive exclusive offers for our subscribers!